2 pounds fresh Baquetta seabass. In a small bowl mix all seasonings (except the parsley and chopped garlic), then sprinkle onto the fish. Let the seasoned fish fillets stand for 10 to 15 minutes, allowing the seasoning to be absorbed into the fish. Preheat grill to about one hundred and seventy (170) degrees F. Lightly oil grill grate and place fillets on top. Grill for seven minutes then turn and drizzle with butter, allowing the same for the other side of the fillet. Add potatoes, onions and zucchini to grill and let them cook thoroughly. While grilling fillets, in a small sauce pan over medium heat melt some butter with the garlic and parsley. Remove from heat when the butter has melted and set aside till all grilling is done. Drizzle fillets lightly with olive oil, set on plate along with the grilled vegetables and enjoy. With an amazingly mild, slightly sweet, very unique and distinctive taste, fresh Baquetta Seabass, from www.ShopAndersonSeafoods.com, is just perfect for any culinary occasion, whether it be an executive business meeting, an afternoon barbeque at the beach with friends or a quiet candlelight dinner. Fresh Baquetta seabass is a treat to any palate, remaining firm and moist when prepared, as well as a very nutritious food source, loaded not only with omega-3 fatty acids, but also calcium, potassium and protein. It is perfect for those on the lookout for a meal which combines great taste and overall health. 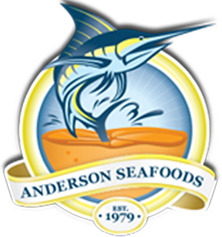 Here at www.ShopAndersonSeafoods.com, we provide to our customers the most affordable prices, highest quality and freshest Baquetta Seabass, delivered directly to the kitchen table. Baquetta is long-line harvested in the waters of the Sea of Cortez and is available year round, depending on weather in that region. Fresh Baquetta is delivered to us on a daily basis. Be creative, bake, broil, grill, poach, saut? or steam.